South West Water was the deserving winner of this year’s Institute of Water National Innovation Awards 2018 for their innovative behavioural change campaign ’Love Your Loo’. 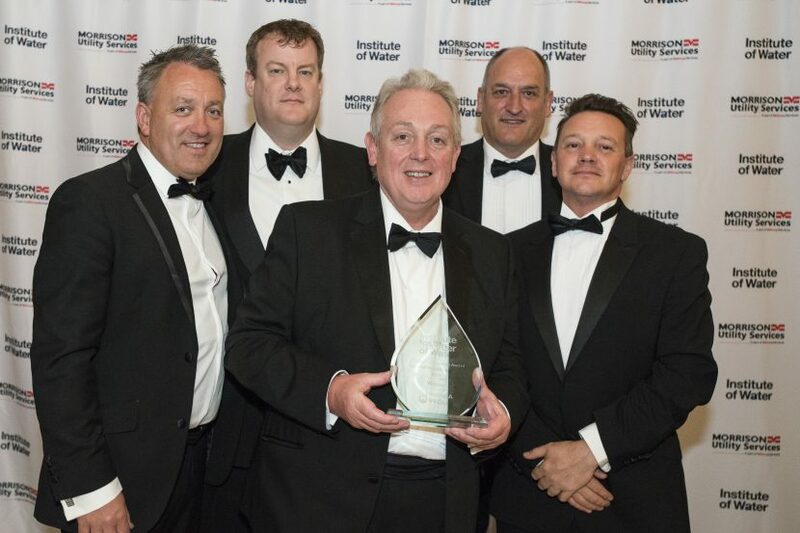 The award was presented at the Institute of Water’s Annual President’s Dinner and Awards, on the 21st June and held at the spectacular setting of Glasgow City Chambers. The Institute of Water National Innovation Awards, sponsored by Veolia, celebrates some of the most innovative individuals and companies from within the UK water and wastewater sector. This year the awards saw six regional finalists from across the UK coming together to demonstrate the industry’s creative excellence. The winner, South West Water’s ‘Love Your Loo’ campaign is a customer focussed project aimed at changing behaviour at the root cause of sewer blockages and floods. Their approach is an alternative to the short-term solution of sewer cleaning. The campaign incorporated a number of communication strategies which were evaluated to identify the most effective in changing bathroom disposal habits for customers disposing of objects down the toilet which contribute to sewer blockages. This campaign was supported by a team of Customer Liaison Officers in ‘hotspots’ to educate customers. The campaign had already achieved a blockage reduction of up to 47% in postcode areas. “The panel were particularly impressed with the strength of the submissions and it was so encouraging to see the breadth of innovations that are taking place across the water sector. “The panel were unanimous in their view that the innovation from South West Water tackled a very current and complex issue but did so through simplifying the responsibility of the customer. “Our innovative Love Your Loo campaign goes from strength to strength, thanks to support from our customers. “It costs us and our customers £4.5million each year to clear around 8,500 blockages on the sewerage network. About 65% of these blockages are caused by baby wipes, hygiene wipes, moist toilet tissue, cleaning wipes, cleansing pads and sanitary products being flushed down the toilet. The Institute of Water would like to congratulate all companies and individuals who entered the 2018 National Innovation Awards and thank sponsors Veolia for their valuable support.